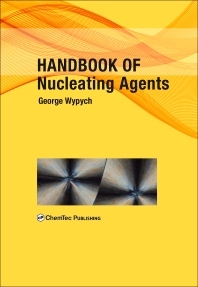 Handbook of Nucleating Agents gives engineers and materials scientists the information they need to increase the production rate, modify structure and morphology, and reduce haze of polymeric products with proper selection of nucleating agents and clarifying agents. Chemical origin and related properties of nucleating agents are analyzed in general terms to highlight the differences in their properties, including the essential theoretical knowledge required for correct selection and use of nucleating and clarifying agents. This includes methods of chemical modification of nucleating agents and their deposition on suitable substrates; methods and results of dispersion of nucleating agents; influence of their concentration and cooling rate on final result and rate of crystallization; nucleation efficiency of different products and the reasons behind it; and generally accepted mechanisms of nucleation. The book also covers application aspects in different formulations. Patent literature and research papers are extensively reviewed for different applications, and polymer processing methods which require use of nucleating agents are discussed, with an emphasis on the intricacies of use of nucleating agents in different polymers and products. Engineers and Scientists involved in the design and development of plastics materials and products, and the design and optimization of production processes using plastics. Chapter 5: WHAT INFLUENCES NUCLEATION?